You are here: Home / Blog / Thank You For the Gift! I flipped through the books eagerly, and started reading… you all did such a great job! Well… you’ve sure come a long way and have turned those first sparks into finished stories. WAY TO GO! Thank you for sharing with me, and for the great honour of acknowledging me on the cover, too. It’s very special to me! Thank you for sharing your two marvelous story collections with me! I received them in the mail at the beginning of summer – what a wonderful gift! I’ve enjoyed all your stories. They had humour, mystery, suspense, and terrific characters. Each one started with a ‘hook’ that drew me right into the action. You all worked very hard and should be proud of every step. I’m proud of you, too! Congratulations, thank you, and keep on reading and writing! 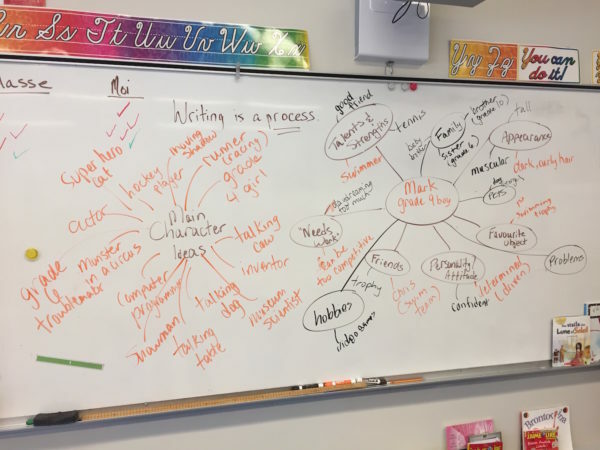 Thank you, Karin, for all the great ideas and inspiration you gave to me and my class 4B. You got us started down the road of story writing. 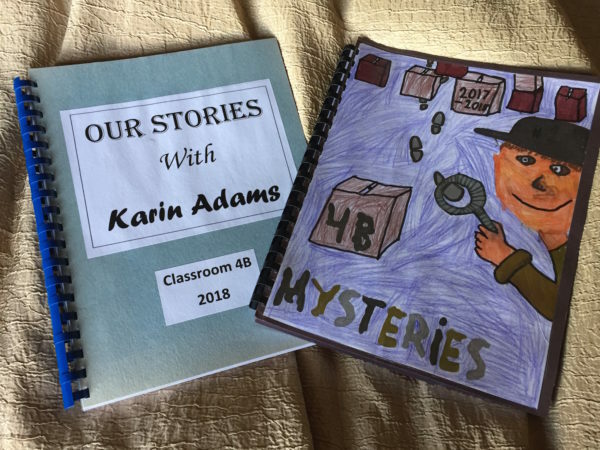 I hope my students keep writing more great stories!